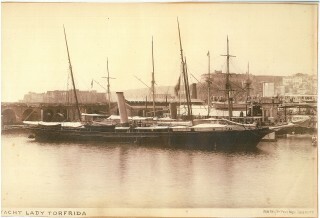 The steam yacht Lady Torfreya at Naples. Soon to become the Valfreyia. 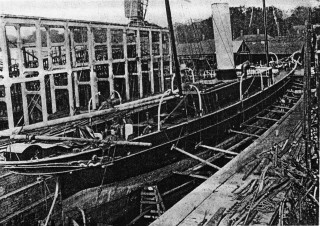 Bayard Brown's yacht Valfreyia in dry dock showing gantry in background. 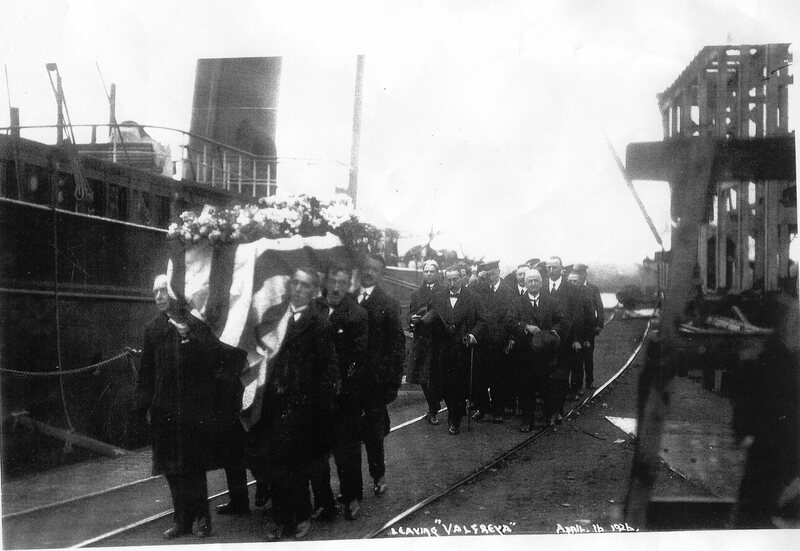 Bayard Brown's funeral procession leaving the Valfreyia in the dry dock. Mr McEvers Bayard Brown appeared on the scene at Wivenhoe at the Grosvenor Hotel after a 1889 Rowing Regatta. His newly acquired steam yacht, the Valfreyia, was then anchored off Brightlingsea where she had already been for a few months. When responding to a toast, he said that he liked the River Colne and hoped to stay for a while. The Valfreyia was soon moored in the river off Wivenhoe and became what seemed to be a permanent fixture. It was well known that Bayard Brown, as he was usually known, was rich, he owned a 735 ton yacht, American, the yacht was registered in New York, and eccentric, the Valfreyia always had steam up, but never went anywhere. He became famous as a generous tipper. People would row, or get the ferrymen to row them, out to the yacht to ask for financial help; they could then wait for hours until he came on deck. Sometimes the help was generously given, but at other times gold sovereigns were thrown at the supplicants after being heated in a frying pan so that they got their fingers burnt. Sometimes they were simply pelted with coal from the stoke hold. Young women down on their luck might be invited to stay aboard. There are still people in Brightlingsea who claim to be descendants of Bayard Brown through those liaisons. Many theories about Bayard Brown circulated through the area. Had he had a tragic love affair? Was he on the run for the law in the States? Or the Mafia? Had he fallen out with a grasping family who were after his fortune? It is unlikely that the real answer will ever be known, so the mystery endures. The Valfreyia always had steam up, was that for a quick getaway? After the shipbuilders, Rennie Ritchie & Newport, failed and the shipyard closed, it was acquired by Otto Anderson in 1925. The Valfreyia was dry docked at the yard, and remained in the dock, still maintaining a head of steam. Mr Brown who regularly traveled to London on business, being collected by taxi and taken to the train. The nature of his business was another realm of speculation for the people of Wivenhoe. Children would visit the dock and might be rewarded for their efforts with some pennies thrown from the ship. When Bayard Brown died, there was a big memorial service in St Mary’s Church Wivenhoe before his body was shipped back to America. 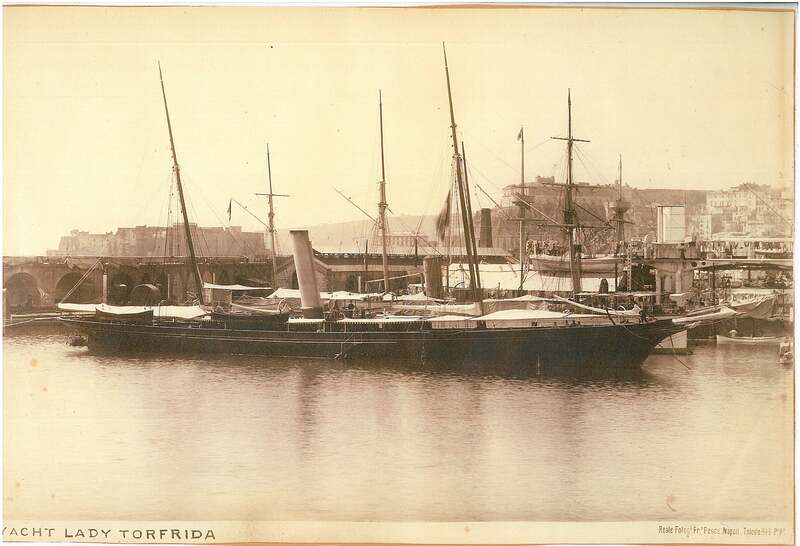 The Valfreyia was sold to a Maharajah and became the Star of India, The dry dock became vacant and Otto Andersen’s main source of regular income vanished. Soon after that, Otto Andersen was bankrupt and the shipyard was sold and closed. The Mystery of the Head of Steam is easily solved; the Valfreyia had the then novel accessory of electric lighting and steam was needed to generate the power for that. 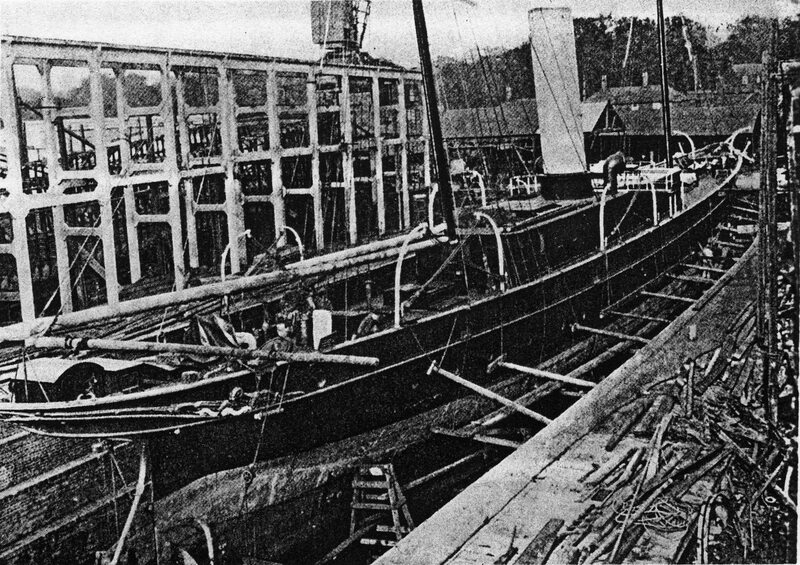 When the ship was in the dry dock, it would probably have been possible to connect to the mains, but the voltage would have been wrong; also by maintaining steam so the vessel could sail, although she remained a ship in dock; had the steam not been available for a long time, she would have become a house boat, a dwelling, and liable to pay rates. All in all it was cheaper to keep a head of steam. It intrigued the natives too. 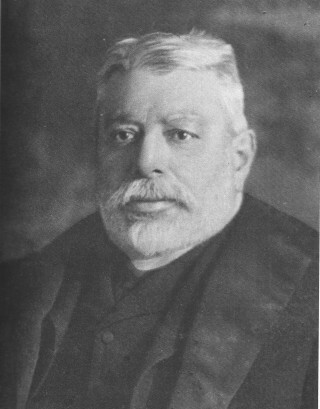 Bayard Brown disliked being photographed and few pictures of him or the Valfreyia survive. The Valfreyia was built in 1888 at Glasgow by the Fairfield Shipbuilding & Engineering Co Ltd as the Lady Torfrida and bought by Bayard Brown about two years later. She was 216 feet in length and her gross register tonnage was 546. The Thames Measurement tonnage was 735, and it is important to remember that these are approximated measures of volume, not weight. This page was added on 01/05/2015.